Welcome to Process-Symphony, your one stop portal for comprehending IT Service Management Knowledge eco-system. The process frameworks, tools landscape is continually changing. The practitioners need to up skill and cross-skill to stay on the top of these emerging frameworks and tools. This portal will give you a bird’s eye view of process, tools and skills. Is your favourite tool missing in Process-Symphony? Please submit your tool. Process-Symphony thrives on community support. Please contact us with your feedback. If you want to be part of the expert committee, please let us know. Disclaimer: Process-Symphony is designed primarily as an educational resource. The research team does not guarantee the accuracy of the information contained in the repository. Individuals and organisations should apply their own professional judgment to apply the knowledge sourced from Process-Symphony. 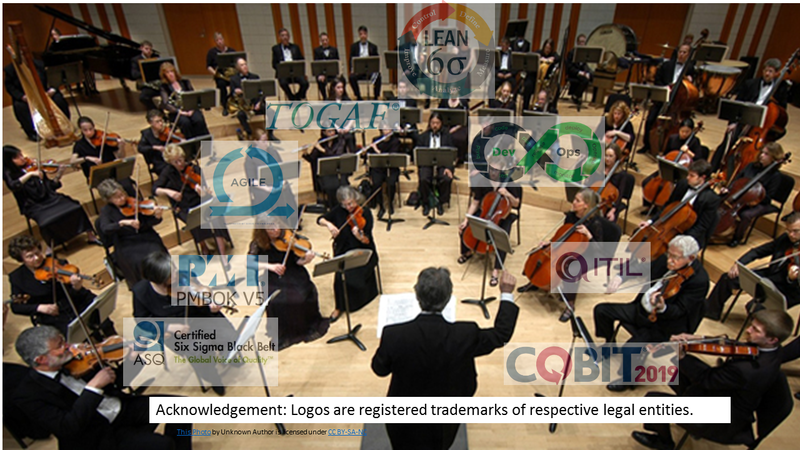 The Trademarks of process frameworks are acknowledged in Trademark notices page.